Tigers and humans have shared the Earth for thousands of years. The former, fierce and majestic cats, while the latter, curious and cunning. For a long time, humans have been in contact with these animals and have been able to interact. The relationship between the two species has not a history of being close or friendly, but many people feel a deep admiration and devotion for Tigers. Highly respected in Chinese tradition, today they are part of various aspects of their culture. 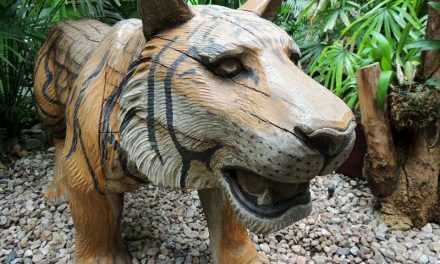 Tigers have been a symbol of strength and some other values, primarily in Asia. In fact, in some buildings, paintings of tigers are at the entrance, to protect the place from the evil spirits. The fascination they stir has inspired numerous artistic representations in literature, painting, cinema, sculpture, and so on. Although humans are often fearful of tigers, they have become their main predator and the most dangerous threat to the survival of these cats. It is no secret that Tigers have killed more people than any other type of cat out there. However, we are the ones to continually invade their natural habitat and then complain when tiger attacks do occur. These cats have lived for a long time only on the Asian continent. Over time, the human population in that part of the world increased enormously, cities grown and resource requirements rose. Thus, Tigers have seen their habitats invaded, and their food sources diminished, as some of their prey are also food for humans. This competition for space and food has adverse effects for tigers. For example, in the region of Sundarbans, India, there have been several attacks that have resulted in dead people. These confrontations are the consequence of several factors: the villages are near the natural reserves where tigers live, and they are increasingly approaching populated areas, as the mangrove area where they live is being devastated by the increase in Sea level and natural phenomena. At the same time, farmers enter the reserves in search of crabs, honey and other products to sell. 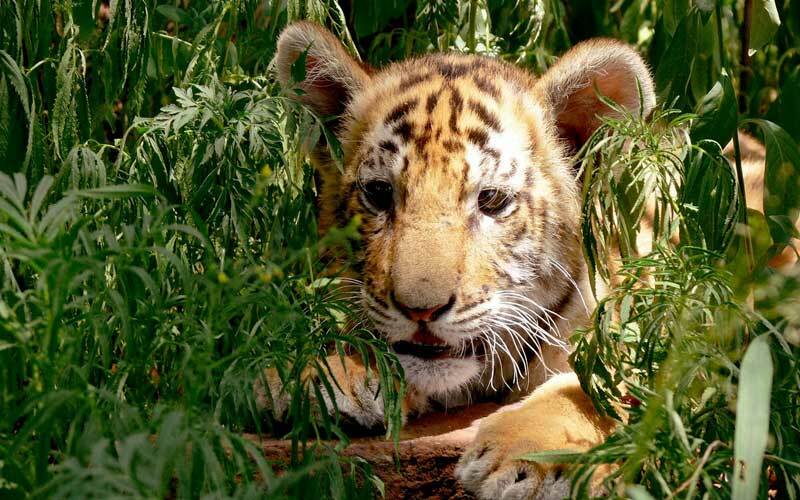 According to some analysts, humans and tigers suffer the consequences of global warming, and the sea makes them both go inland and then the natural habitat of tigers is gradually disappearing. These encounters, under such conditions, may be unfortunate. 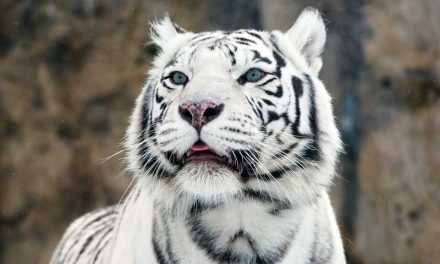 Many tigers have killed domestic cattle and the villagers, in consequence, they look for “justice” by hunting the cats. But the latter does not only occur in the Sundarbans region, but also in other geographical areas where human populations are near or within the habitat of tigers. When we destroy their natural habitat, they are forced to live in areas that they never inhabited before to find food and survive. 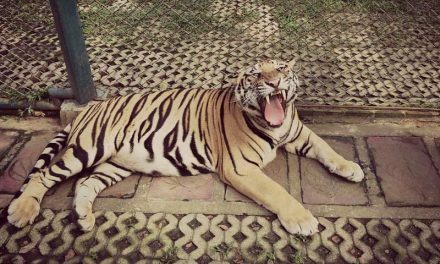 Many zones are destroyed to build homes in that place where many keep livestock for their consumption and tigers often come into these areas and feed on the domestic animals as their food sources are scarce. They also find it easier to get this prey that hunt in the wild. Farmers in such a situation sometimes use poison to kill the tigers and protect their livestock. Even though such practices are illegal, it is still happening. It is very hard to prove what caused the death of many of these tigers. Over the last century, the distribution ranges of these cats lost large areas, that is, only a few thousand tigers remain in relatively small areas, which is alarming if one takes into account the size of the Asian continent. When we destroy their natural habitat, they are forced to live in areas that they never inhabited before. But there is still time to rethink the role of humans about tigers. Homo sapiens has caused damage, but it also has the power to solve the situation and to carry out conservation tasks that return Panthera tigris where it belongs: freedom in its natural habitat. Due to the small populations, genetic profiling and selective mating are paramount. With the human technology, we can help them to mate successfully. Many people love these felids and feel a great fascination for what they represent. Tigers are creatures that follow the instincts of their species and are not responsible for their behavior. But even as predators, they are known to be positively related to humans. Some people have specimens at home, and some documentaries show how they interact directly with Tigers, demonstrating their love with more than slaps on the back. However, it is a dangerous practice because Tigers are unpredictable like any other wild animal. Even if their intention is not to do harm, they can do it because of its size and strength. Even more, is alarming to know that in the United States there are more captive tigers (many in backyards of ordinary citizens) than wild tigers in Asia, according to information from the World Wildlife Fund (WWF). The survival of these cats depends on humans. They balance the ecosystem, so we need tigers in nature. It is a matter of survival, respect, and why not, love.